The third Leg begins and teams find out they will be heading to Osaka, Japan! But first! Teams must vote at the Forced Double U-Turn Vote Board. They can then find flights and book their own tickets to Tokyo Narita. 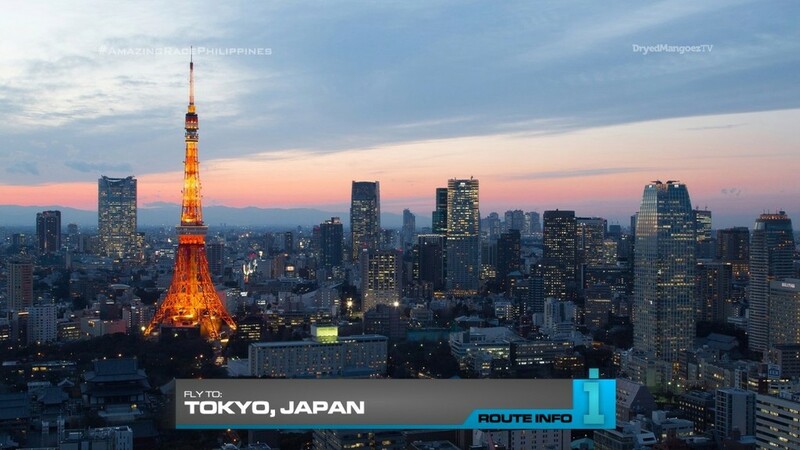 In reality, teams will end up on one of two direct flights: Japan Airlines arriving at 7:20am and Air India arriving at 8am. Teams MUST fly to Tokyo in order to take the high-speed train to Osaka. 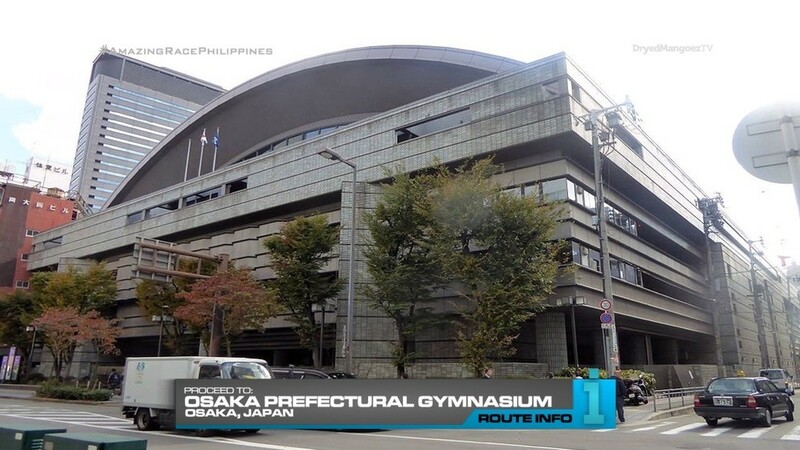 Once in Osaka, teams must head to the Osaka Prefectural Gymnasium. And here, teams will find a Duel Duel!!! 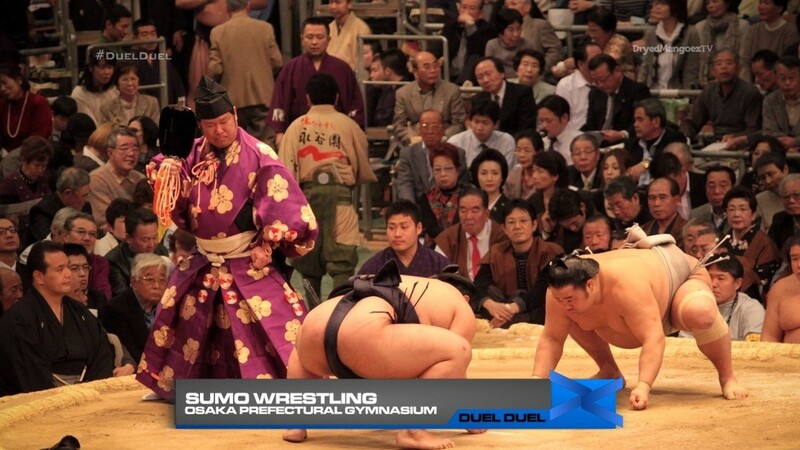 For this Duel Duel, teams will face off in a sumo match. Using sumo suits, teams must win a best of three duel against another team. Teams must win two matches to receive their next clue. If there is a draw (if neither team can win a face off within 1 minute), neither team will score the point. If neither team can win two matches, both teams must go to the back of the line. The losing team of a Duel Duel will face the next team in line. After the Duel Duel, teams must make their way to the Umeda Sky Building and head to the observatory. Here they must use provided binoculars to search the city below for their next clue. 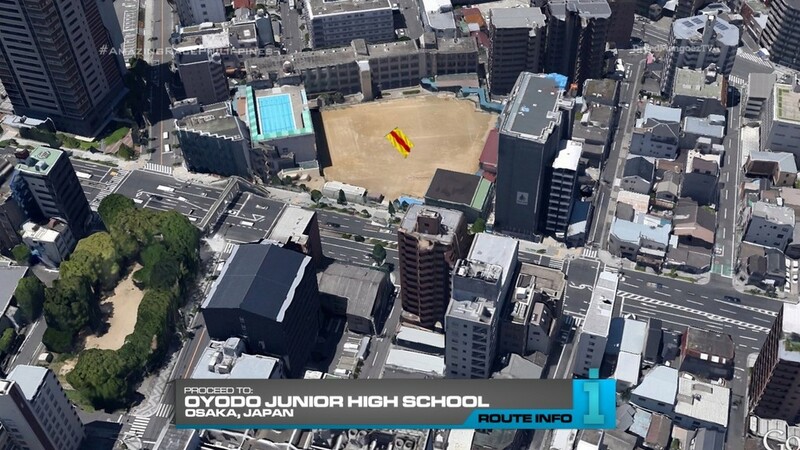 That clue is a large Race flag which teams must figure out is located at Oyodo Junior High School just a few blocks away. Teams must make their way ON FOOT. 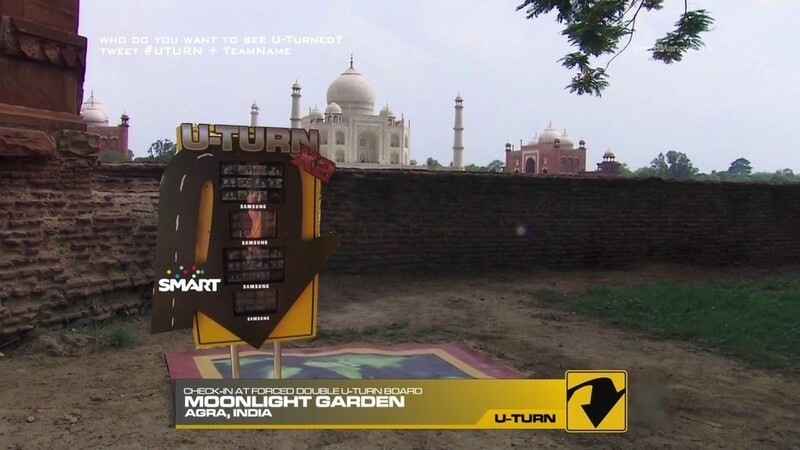 At the high school’s baseball field, teams will find their next clue AND the Forced Double U-Turn Reveal Board. That next clue describes the Detour: Big Meal or Big Show. 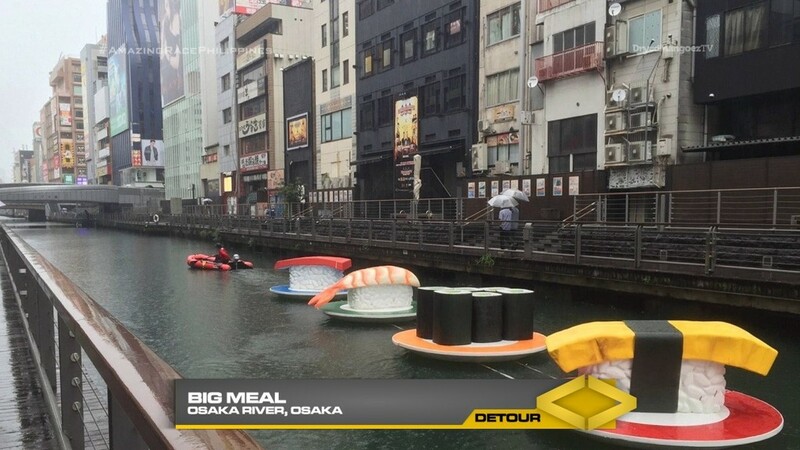 In Big Meal, teams must head to the Osaka River where they will choose a card with five different pieces of sushi identified. They must then row themselves into the river and search amongst floating pieces of huge sushi for the five matching those on their card. Once they have retrieved all correct sushi, they will be given five real pieces to eat along with their next clue. 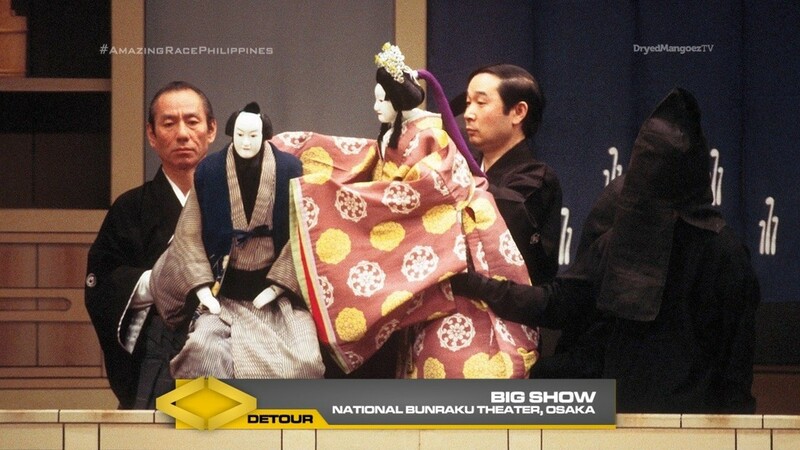 In Big Show, teams must head to the National Bunraku Theater where they will learn how to perform a traditional Japanese puppet theater show. Once they have given a perfect performance, they will receive their next clue. 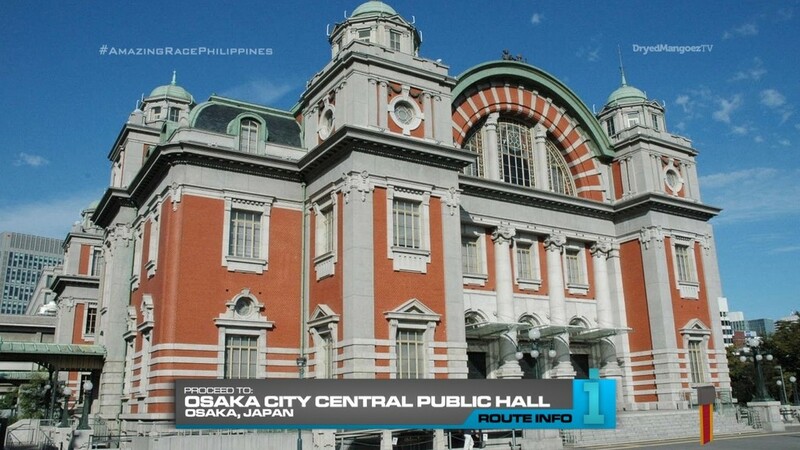 Teams must now make their way to Osaka City Central Public Hall. 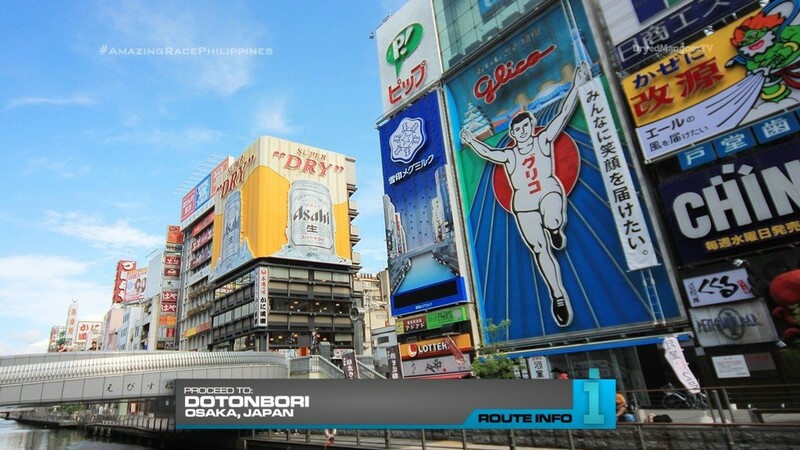 And that clue directs teams to Dotonbori. Here, teams will find the Road Block: However you like it. 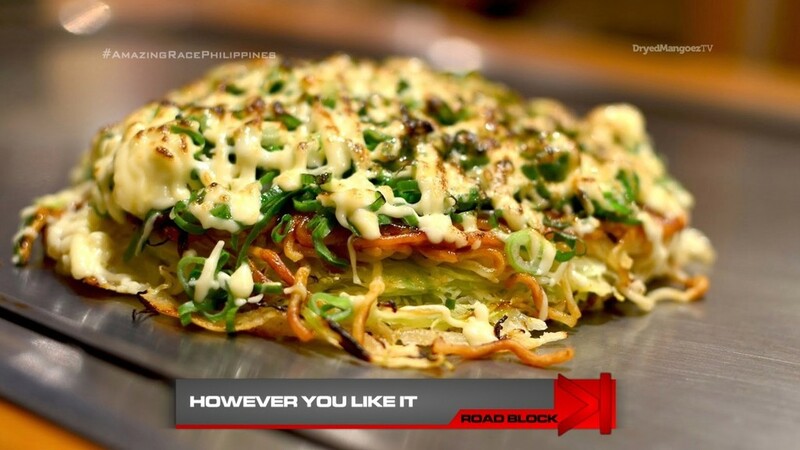 For this Road Block, teams will identify what ingredients are in three different okonomiyakis, pancakes made with different choices of meat, seafood and noodles, by eating them. Once they have identified the correct ingredients they will receive their next clue. If they are incorrect, they must eat more. 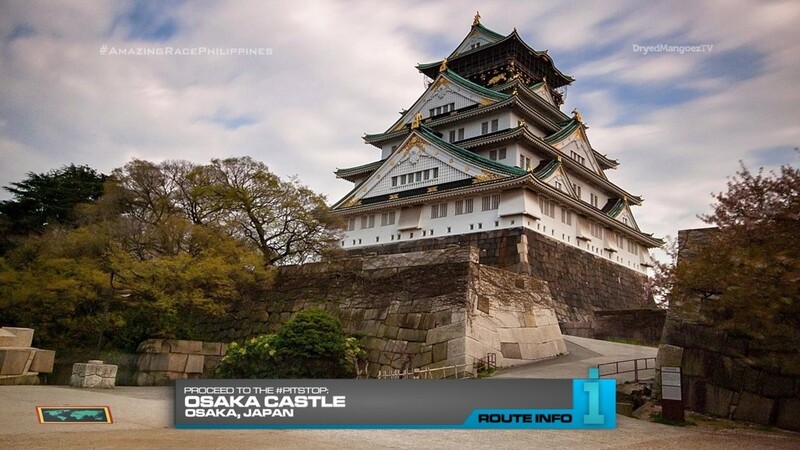 Teams who finish the Road Block can now head to the Pit Stop, Osaka Castle. A return to Japan for TARPHDME. I think this should be a good, very full Leg. It’s a good spot for a Duel Duel. Sumo wrestling should be a fun task for teams. 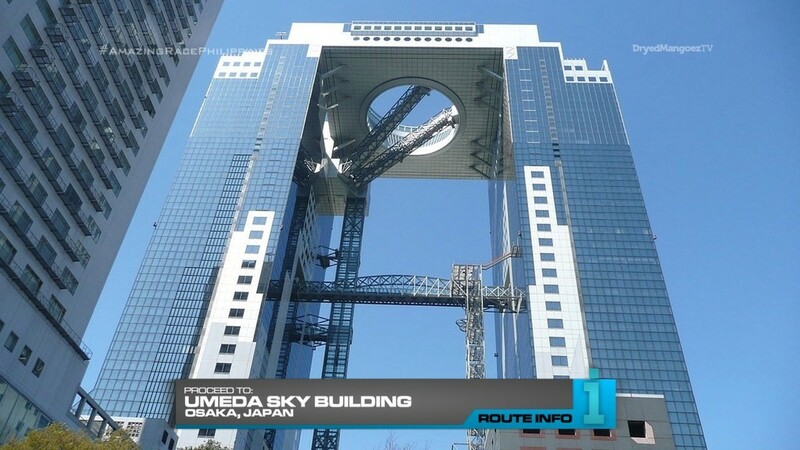 The Umeda Sky Building is a typical location, but it should also be a good task having teams search below. A typical TAR task, but not really done on TARPH. It will also be good to reveal the U-Turned teams before actually finding out what the Detour is. Having teams walk to the school could also cause some fun trouble. Also, having a Forced U-Turn on this Leg with the Duel Duel should hopefully incite some good, juicy drama and competition. The Detour is very solid. The sushi in the river was something I stumbled upon online a while ago and it looked perfect for a TAR task. The Bunraku theater is a point of interest in Osaka and a hub for the performance art in Japan so that should be great as well. 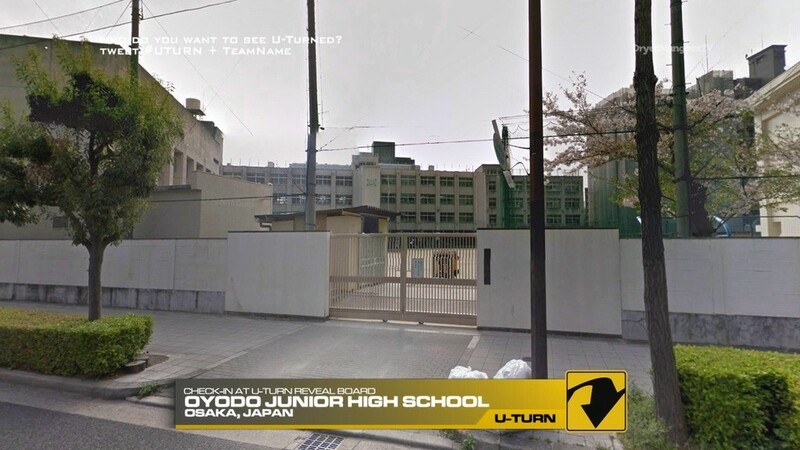 I originally had the U-Turn reveal at the Central Public Hall, but switched it to before the Detour. The Road Block is another typical TAR task recycled many times in different ways on various TAR editions. It’ll be great here since the okonomiyakis are well-known. 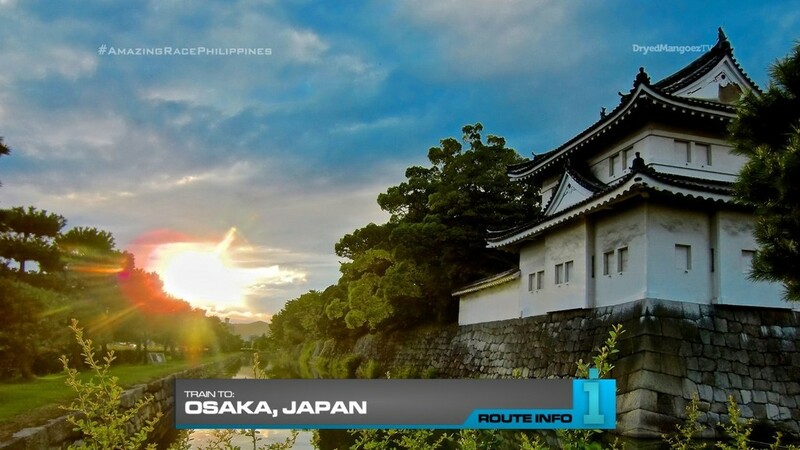 And finally the Pit Stop, Osaka Castle is just too beautiful a location not to feature on this Leg. It may be teeming with tourists, but maybe we can find a nice, secluded location in the area with the Castle in full view. With the full Leg, it should be a good spot for a Non-Elimination as well. It’s always great to have a Non-Elimination after a Leg that includes a U-Turn or something where teams aim to eliminate another using the U-Turn but instead get burned in the end when they don’t get eliminated. Plus, this is a voting U-Turn which means whoever got U-Turned will live to see another Leg (With another U-Turn opportunity of course! ).